This is really quite strange. 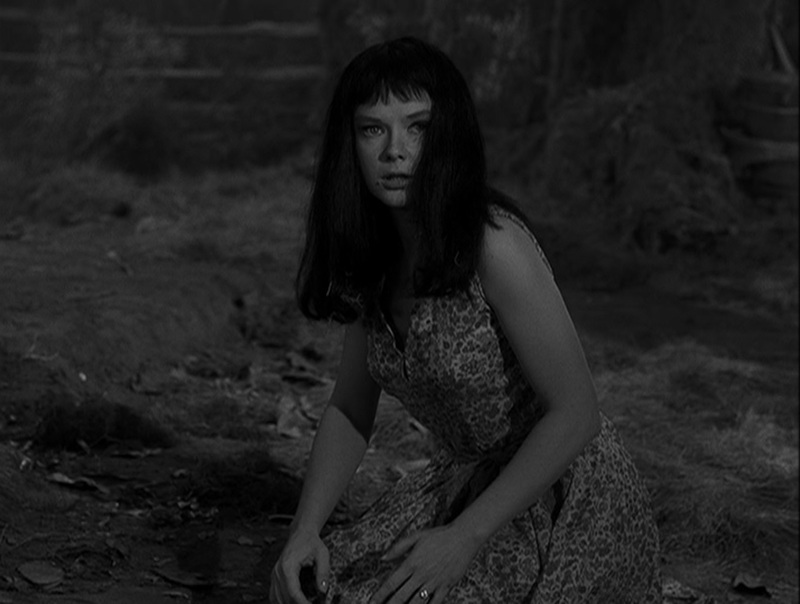 I have no idea why I picked “Ring-a-Ding Girl,” a fifth season Twilight Zone written by Earl Hamner Jr., for our blog. I am unfamiliar with any of the actors, and the episode doesn’t seem to have any real fame or notoriety. I’m very glad I did, though, especially because after the last two disappointing installments, I was ready for a winner, and this was a good one. The episode stars Maggie McNamara as a Hollywood starlet who comes roaring back to her small hometown after receiving strange visions from a ring that her fan club has mailed her. She seems to be showing off, acting like a stage brat – maybe “diva,” with all the negative connotations that word used to have – and suggesting that everybody cancel the annual picnic to come see her in the high school auditorium instead. I was sad to read that Maggie McNamara retired from acting less than a year after this episode aired. She moved to New York and worked as a typist in temporary jobs for another fourteen years while occasionally trying her hand at screenwriting. Sadly, she ended her life in 1978. That’s a shame, I really enjoyed her in this. She was in Otto Preminger’s 1953 film The Moon is Blue, which was extraordinarily controversial at the time and was banned in several cities because the characters used shocking, rude words like “virgin” in it. 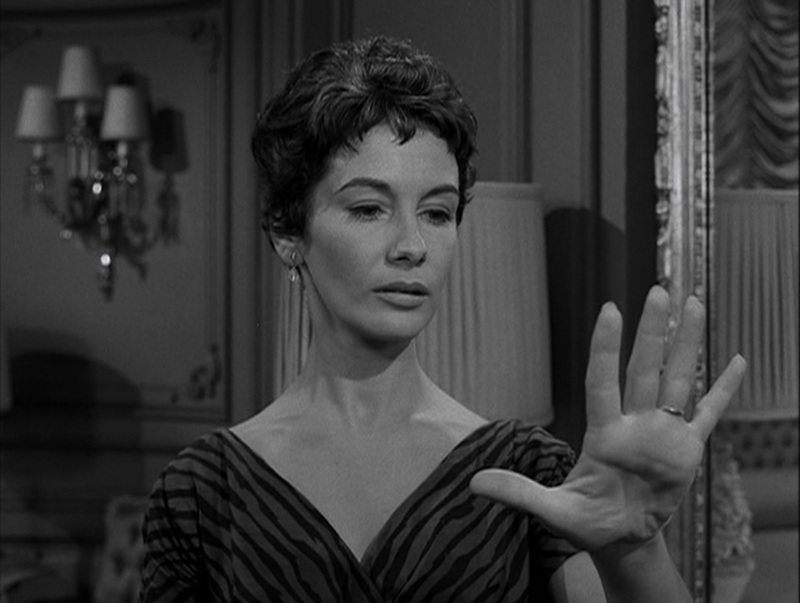 That’s all from The Twilight Zone for now, but we’ll continue looking at a few more stories from season five in July. Stay tuned! Did it just not occur to this girl’s parents that naming her Jess-Belle was asking for trouble? A couple of nights ago, our son got intrigued by the preview for tonight’s story, which was written by Earl Hamner Jr., because it mentioned witches and showed a big jungle cat. I was interested because the jezebel in question is played by Anne Francis. If it’s 1963 and Anne Francis wants to buy a love spell and bewitch me, then I’m totally fine with her turning into a big jungle cat from midnight until dawn. Hamner is best remembered as the creator of The Waltons and Apple’s Way, and he worked on the cartoon adaptation of E.B. White’s Charlotte’s Web. He seemed to enjoy telling stories of folklore from the Appalachians and the Ozarks, or much farther away and and just set in an electricity-free Blue Ridge Mountains. These are God-fearing people, and they practice a faith that I believe is rarely seen on contemporary television, and as such, they are not likely to be very sympathetic to witchcraft. That said, it might seem a little odd that everybody simultaneously knows all about Jeanette Nolan’s character’s spells and potions and yet gets very concerned about the right way to kill witches. That’s the way in northeast Georgia. People will drive to church and buy salves from the wart witch in the gravel lot after the sermon. It’s only when people actually turn into leopards that there’s a problem. 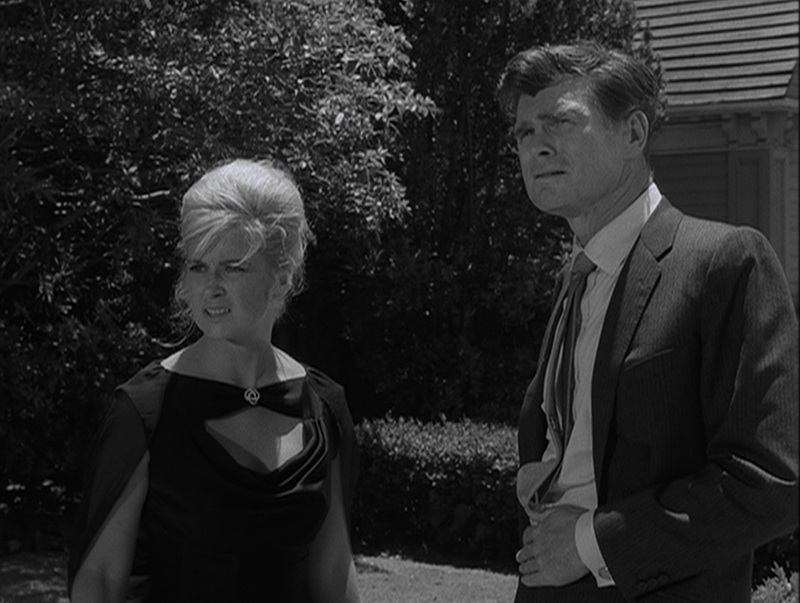 James Best is fairly awesome as the fellow who’s been bewitched, and I really enjoyed seeing this story unfold and, like the last one we saw, stretch out and breathe and not follow the strict Zone formula, but our son felt a little bit betrayed. There was a whole lot less of people shooting at wild animals than he hoped, and a whole lot more smooching. The embraces, the kisses, the talking of marriage, the dancing… we’re lucky he sat as still as he did!